There will be a code of etiquette that applies in the workplace, regardless of where you go to work. There are also ethical principles that you need to know about before working with any business. Being well versed in workplace professionalism will set you apart from the crowd when you start your first job. You don't have to head into a new job, now or in the future, without knowledge of business ethics and etiquette. Now, you can be prepared. Business Ethics and Etiquette for Students-You MUST Know These! teaches kids what employers look for in their employees, as well as what your coworkers will expect from you, all from author and entrepreneur Carole Marsh as she shares everything she has learned about professional success in her years as a business leader. 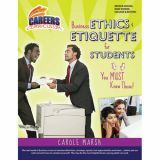 Business Ethics and Etiquette for Students-You MUST Know These! is part of the highly-anticipated Careers Curriculum series, a line of educational materials designed to prepare students for the "real world" of work, starting in middle school, then high school and beyond. A fascinating and quite a lot of material covered. Anyone can benefit from this double-whammy of info book! Essential Skills for the Real World of Work: Things EVERY Student Must Know! has all the information kids will need to survive in the workplace, wherever that may be! Essential Skills for the Real World of Work: Things EVERY Student Must Know! Are you ready to get a reìalî job what kinds of skills are employers looking for when they hire someone? Why do some employees get promoted what will be expected from you in the workplace? Think you don't need to know these things in high school? Think again! These are the essentials today's kids will use in the real world, whether at an after-school job or as a high-flying professional. Essential Skills for the Real World of Work: Things EVERY Student Must Know! is part of the highly-anticipated Careers Curriculum series, a line of educational materials designed to prepare students for the "real world" of work, starting in high school. Job Tracks: 60* Great Careers received the ForeWord Reviews' Book of the Year Silver Award and the 2013 Benjamin Franklin Awards Silver Finalist. Learn more about what's out there in terms of real careers! What are you interested in? Where is your passion? Where do you see yourself after high school what career do you think you'd like to pursue what will it take to get into a field that fascinates you there are exciting, in-demand careers out there right now that you may not even know about! Job Tracks: 60* Great Careers...and How to Get From Where You Are...to Where you Want to Go! details sixty real career tracks available across the nation. These are careers that students need to know about, jobs for today and advice for tomorrow with timely information about a variety of exciting ways to make a difference in the world, or at least a decent living! 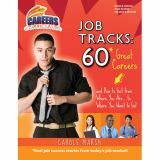 Job Tracks: 60* Great Careers...and How to Get From Where You Are...to Where you Want to Go! is part of the highly-anticipated Careers Curriculum series, a line of educational materials designed to prepare students for the "real world" of work, starting in middle school, high school and beyond. The Careers Curriculum is an essential resource for teenagers and young adults, both in and out of school. Entertaining and charming to read! What should parents and teachers know about what it will take for this generation to land a perfect career? Carole Marsh, an employer and educator, has all the tips and tricks to help parents and teachers sleep at night. 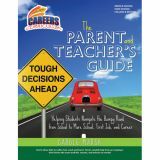 In The Parent and Teacher's Guide: Helping Students Navigate the Bumpy Road from School to More School, First Job, and Career, entrepreneur and educator Carole Marsh takes on an entirely new, forward-thinking approach to education: one based on current needs and the future job market. The Parent and Teacher's Guide: Helping Students Navigate the Bumpy Road from School to More School, First Job, and Career is the perfect guide and an essential resource for the conscientious parent or teacher. It is part of the highly-anticipated Careers Curriculum series, a line of educational materials designed to prepare students for the "real world" of work, starting in high school. ìMarsh has a keen sense of devotion to every type of student truly finding a path to success. This book is worth the price for the compassion and humor, explanation of Rigor vs. Rigor Mortis, and 'Why Study These Subjects' section. She's clearly "been there, done that", and achieved great success despite many obstacles! When a boss asks you to check the invoices, don't go listen to the office voicemail. Even the best student can get tripped up by business vocabulary when starting a first job. Don't stumble on your words - get ahead and be ready with a new "working" vocabulary! 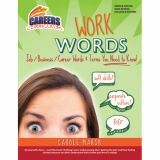 WORK WORDS: Job/Business/Career Words and Terms You Need to Know! introduces students to the fast-paced jargon of the working world, all defined and described in easy-to-understand English. Brush up on your WORK WORDS: Job/Business/Career Words and Terms You Need to Know! and avoid an embarrassing mix up on the job! Set yourself ahead; catch up on all the real-world vocabulary you'll need when you start working. WORK WORDS: Job/Business/Career Words and Terms You Need to Know! is part of the highly-anticipated Careers Curriculum series, a line of educational materials designed to prepare students for the "real world" of work, starting in high school. 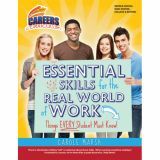 Carole Marsh's Careers Curriculum is an excellent resource for educators, parents, teenagers and young adults throughout the state. Why be embarrassed when you can be empowered by knowing 'job speak' BEFORE you even get the job? Careers Curriculum, Would You Hire This Person? What you need to do to be considered for the position you want. Don't get caught off guard! Go into the hiring process with confidence. Avoid the pitfalls that keep people out of the jobs of their dreams for years. 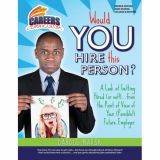 Author Carole Marsh is an expert as both an employer and entrepreneur. Her straightforward, no-nonsense approach brings in insights from her own experiences and those of her colleagues in order to help teens achieve career success. WOULD YOU HIRE THIS PERSON? : A Look at Getting Hired (or not! )...From the Point of View of Your (Possible!) Future Employer is part of the highly-anticipated Careers Curriculum series, a line of educational materials designed to prepare students for the "real world" of work, starting in middle school, then high school and beyond. The Careers Curriculum is very much in demand among parents, educators, teenagers and young adults, both in and out of school. Such realistic scenarios - I got nervous reading them! I wanted the person to get the job, but, gee...I can see why some would not! 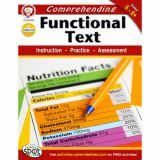 Comprehending Functional Text is designed to help students successfully deal with everyday reading of nonfiction materials. This dynamic book teaches students to understand purpose, gather key ideas, make inference, and evaluate the information they are reading. It is aligned to Common Core State Standards and includes practice activities, learning station ideas, assessment prep, and more! Diagraming Sentences will help students of all ages learn how the parts of speech fit together to make clear and complete sentences. 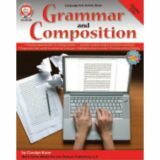 Providing an overview of grammar and an introduction to basic composition, this 96-page language arts resource book teaches the fundamentals of the English language. Grammar and Composition begins with words and progresses to sentences, paragraphs, and complete composition. It also promotes critical thinking, provides writing practice, and supports the Common Core State Standards and NCTE standards. This language arts tutorial book engages middle school students while they refine important skills. This Mark Twain language arts book uses stories, games, and riddles to appeal to students at various learning levels. 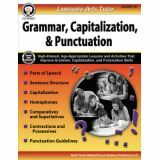 Language Arts Tutor: Grammar, Capitalization, and Punctuation focuses on one skill at a time to help students build proficiency and confidence. 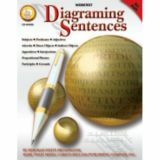 Each page includes clear definitions and examples to explain the concept being reinforced. Written for teachers, parents, families, and students, you can use this Mark Twain middle school book as a full unit of study or for individual lessons to supplement other books. Mark Twain Media Publishing Company specializes in providing engaging supplemental books and decorative resources to complement middle- and upper-grade classrooms. Designed by leading educators, the product line covers a range of subjects, including math, science, language arts, social studies, history, government, fine arts, and character. 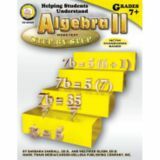 Ensure a smooth transition from algebra to algebra II for students in grades 7 and up using Helping Students Understand Algebra II. 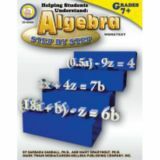 Facilitate a smooth transition from arithmetic to algebra for students in grades 7 and up using Helping Students Understand Algebra.